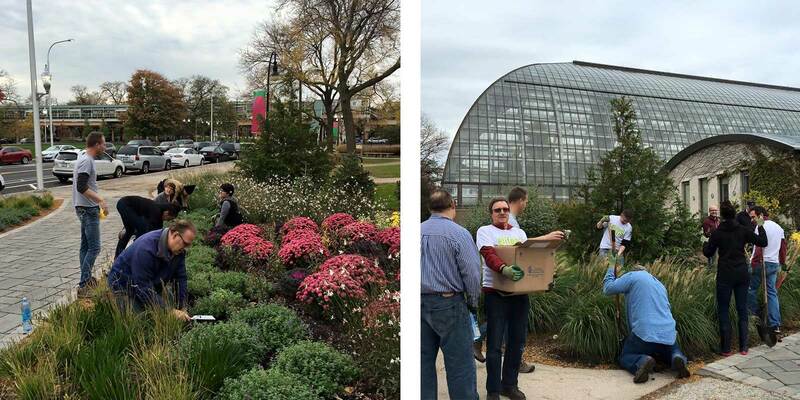 On Wednesday, October 21 smdp and RATIO employees traded their computers for shovels and gloves and headed to the Garfield Park Conservatory on Chicago’s west side for our first annual Day of Service. 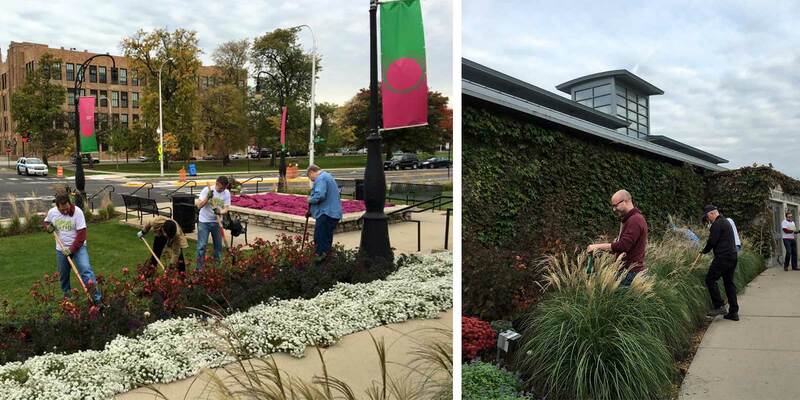 Team members planted new tulip bulbs, removed various plants for future use or compost, and removed many wheelbarrows of topsoil so new tulips can be planted in healthy, nutrient-rich beds. 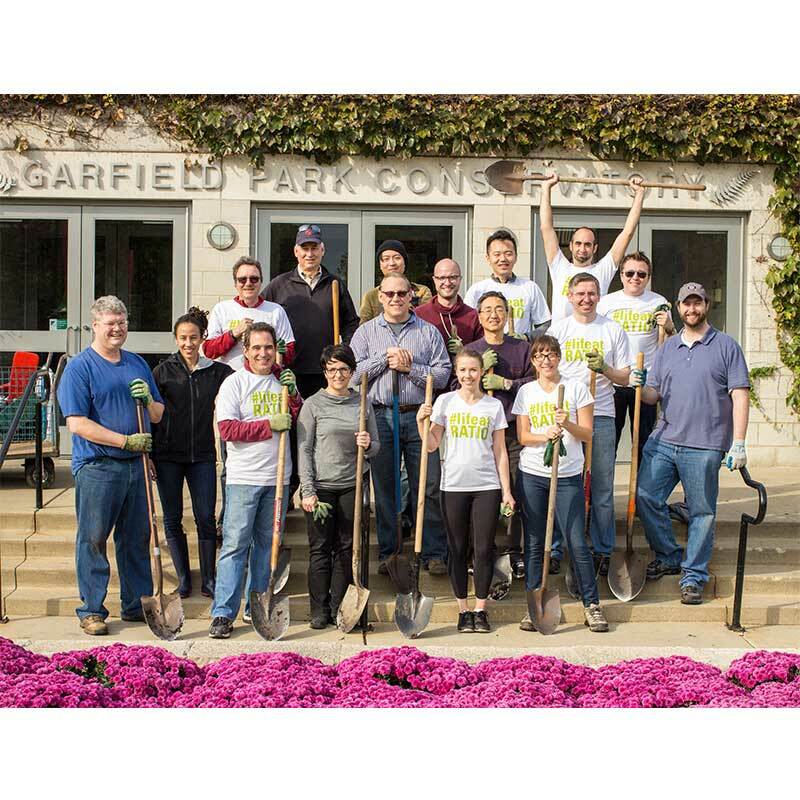 Everyone was exhausted after a long day of hard work, but the experience was incredibly rewarding and we were happy to help the Chicago Park District. The Garfield Park Conservatory was designed by Jens Jensen who is known as “the godfather of naturalistic landscape and conservatory design”. It has been described as “landscape art under glass” and is free to the public, open 365 days a year. 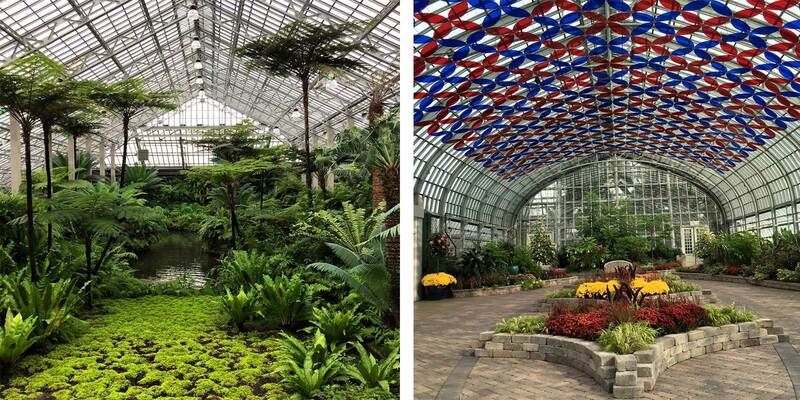 Click here for more information about the Garfield Park Conservatory.